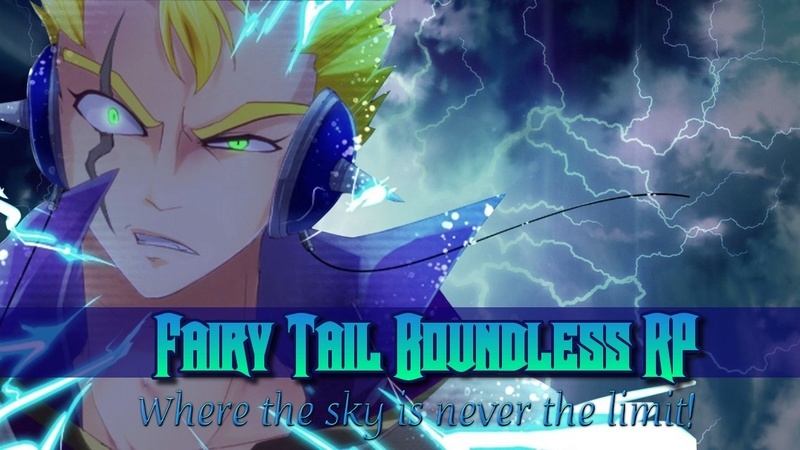 Tempest Breaker is a legendary weapon that was used by the king of tempest demons, Demyx, wielded during his reign. Demyx bestowed his most valued partner onto his adopted daughter Rin. Tempest Breaker is a multi form weapon that takes on four different forms. A rapier, a long sword, a crossbow, and a dulled ax/ ornate staff. Each form is powerful in their own right and each form gives Rin a different power. The four forms are named; Ray of Hope, Winter Soul, Crystalline Faith, and Tempest's Wrath. Tempest Breaker can only be wielded by whom it deems worthy. For a very long time, it did not recognize Rin as it's new master. 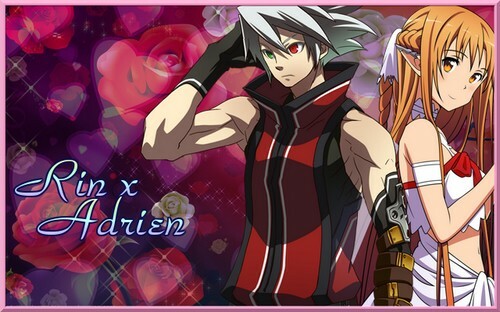 Rin grew strong by training in order for her father's old partner to accept her as its new master and partner in battle. Rin treasures the tempest breaker due to the fact it's one of the very few things she has that reminds her of her father. 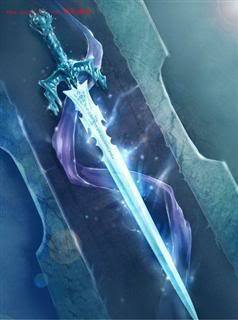 This weapon is powered by one who wields storm magic of equal power to the weapon itself. The default form of Tempest Breaker. 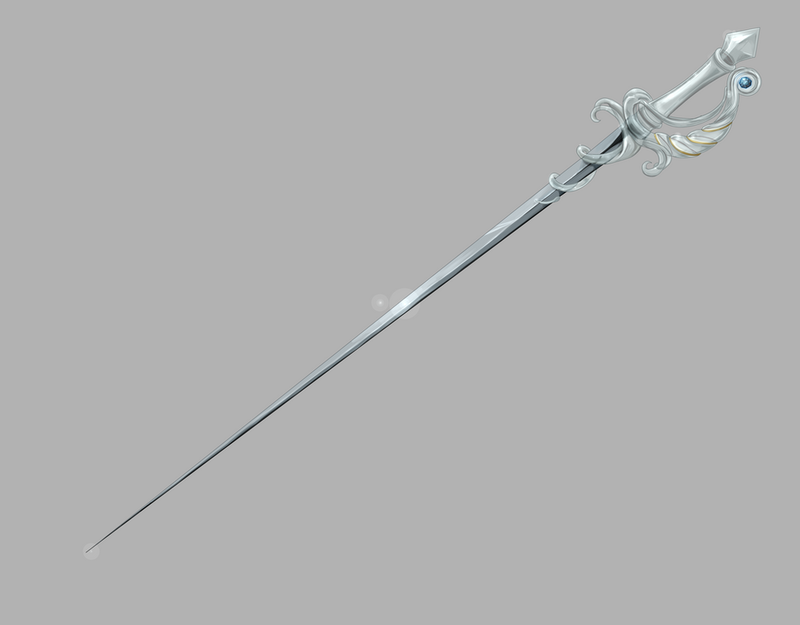 It takes the form of rapier class weapon. Ray of Hope, represents the light(holy) element. The rapier's blade is 5 feet in length, and 3 inches in width. The handle is 2 feet in length, 4 inches in width. The second form of Tempest Breaker, it takes the form of a long sword. Winter Soul represents the ice element. The blade is 5 feet in length and 10 inches in width. The hilt is 3 inches thick and 3 inches wide. The handle is 4 inches long, and 3 inches wide. 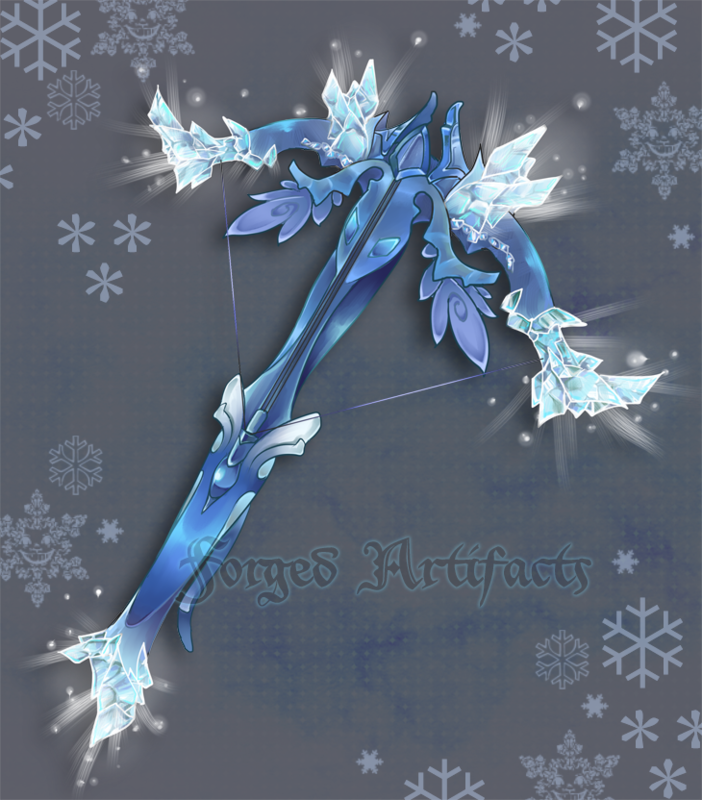 The third and second most powerful form of Tempest Breaker, it takes on the form a blue crystal crossbow. The handle is 1 foot long, and 9 inches wide. The bow part is 10 inches long and 5 inches wide. The final and most powerful form of Tempest Breaker, it takes the form of a dulled ax or an ornate staff. It represents the weapon and its name, Tempest Breaker because of its ability to summon storms at will. The staff is 6 ft tall and 1 foot thick. The dulled blade is 2 ft thick and 7 inches wide. Description: This is the ray of hope's ability. The rapier glows with a soft healing light. Rin raises the rapier and the light will grow bigger over a 500 ft radius and heal all damage of up to B Rank to those who are in the light. Description: Kesshō ya or Crystal Arrows, is the ability of Crystalline Faith. Crystalline faith shoots magic crystal arrows it can produce by being charged by Rin's MP. These arrows are infused with ethernano particles giving the no elemental strengths or weaknesses. The crystal arrows, travel at very high speed(100 MPH) and are as big as a crossbow arrow(20 inches). In one charge, Crystalline Faith can shoot up to 10 arrows. Each arrow does 1/10 the damage of an S rank spell. Cooldown & Duration: Cooldown is 3 posts, Duration is 1 post. Description: Ooarashi no Ikari is the ability of Tempest's Wrath. It summons forth storms of all kinds from tornadoes to hurricanes, to hail storms to typhoons. Because its so powerful, it drains Rin's MP rather quickly while the staff is active, it drains 5 % of her MP and when she summons a storm it drains triple of that from her MP(15%) When Rin reaches 5% MP, the staff will change to its default form, Ray of Hope in order to keep Rin from dying. The storms her staff summons all reach a 3000 yd radius at max. Anyone other than Rin that is caught in the middle of a storm produced by this ability, will recieve A to S rank damage, depending on their endurance stat. If Rin were to summon a new storm in place of the previous one, it would cost her 15% MP to do so. Comments/Notes: Alright Rin, since you told me in Discord that I could check this, I'll just go over this right now. Personally, the only thing I really see a problem with is "Crystal Arrow". However, before we get started, I am of aware of these facts. 2. This IS an S-Rank Weapon. However, it is my personal preference that the range be lowered to that of "Long Range" [1,000 Yards] rather than "Sniper Range" [3,000 Yards]. This has a reason behind it. Which is that these are arrows. I understand that these are crystal arrows, and they most likely do not share the same weight as a normal arrow/crossbow bolt, but I feel that 3,000 yards is a bit much for something like arrows. This is my personal opinion. If you wish to give me a reason behind this and justify the current conditions, I will look it over. However, I would personally like the range toned down, as I don't think that arrows should have such a distance. Comments/Notes: H'okay, since things have been changed, I'll be stamping this as APPROVED. If anyone has problems with it, contact me directly. That is all.